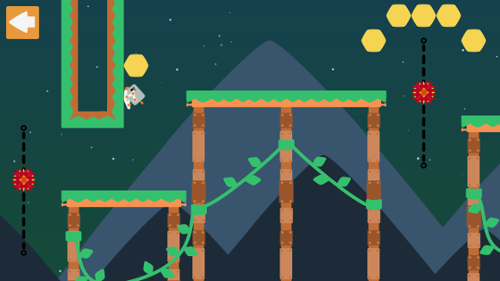 Squatbot is a mobile platformer made by ILD Games using SFML, released on iOS and Android. 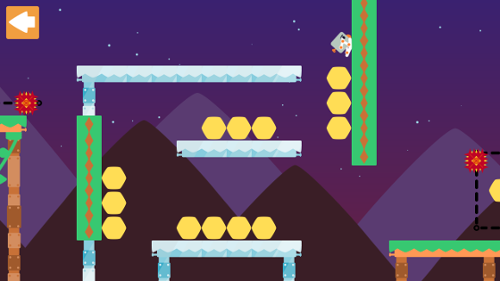 Eventually another friend approached us with the idea for a unique control scheme for a mobile platformer. Joined by that friend and another we decided to use the idea as an opportunity to actually build a game with our engine and that project became Squatbot. 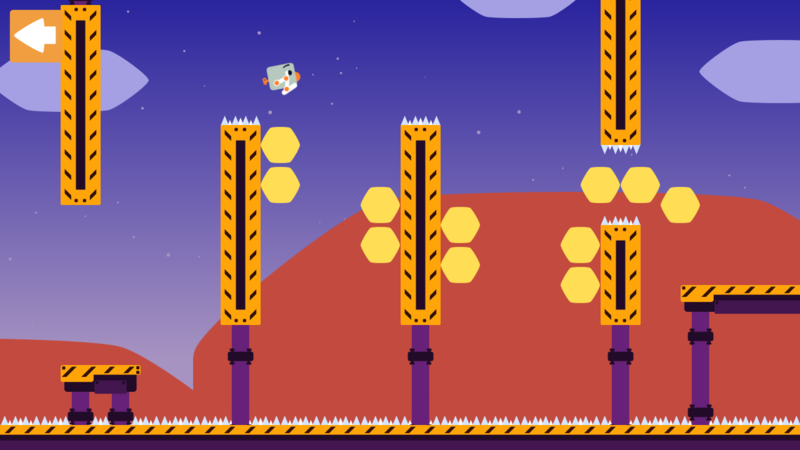 Squatbot brings tight, momentum-based platforming to mobile phones, with a control scheme designed specifically for touch screens. 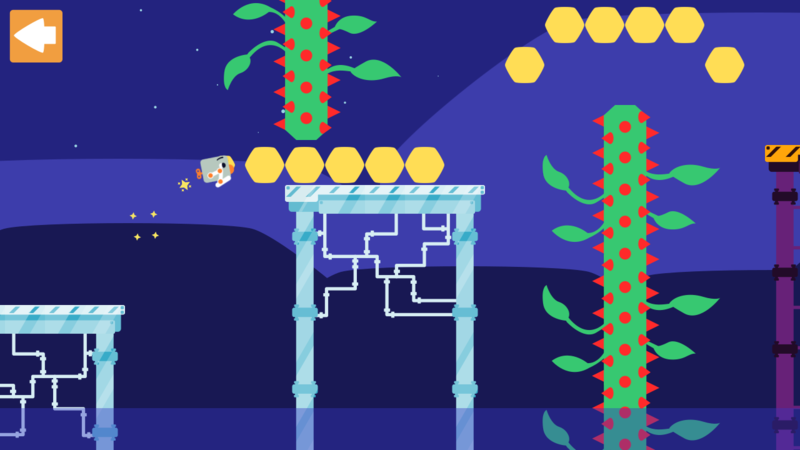 By tying the player's acceleration to their jump, Squatbot only requires two inputs - A tap on the left side of the screen to hop left, or a tap on the right side of the screen to hop right. These minimalist controls open the door to challenging, kinetic level design, with Squatbot hopping, skipping, and jumping through exciting challenges. We're putting the finishing touches on it and getting more levels done for a full release in the coming months. SFML's been a great library to work with, we've learned a lot and I wish I had the time to start fresh with the engine with all the lessons learned. Our biggest challenge has been mobile integration, but SFML is quickly nearing the point where it is definitely viable (hoping for a bump from OpenGL ES 1.1 soon!). SFML 2.5 will be a great release for mobile and I hope to see more mobile games on the market made in SFML in the near future! EDIT: The game has been released and the links to the stores above have been updated! Wow! Looks great! What are your lessons learnt with iOS and Android? Will you release on PC or the like? Thanks! We're evaluating a release on PC after we get the mobile release sorted. Our current plan is to launch a free ad-supported version and a pro paid version to remove all ads side-by-side on iOS and Android. After the launch we're going to look into maybe a cheap or donation-incentive release on itch.io and other similar markets. Our build system we wrote for this can distribute to all 3 major PC OSes so at this point it's just porting over all the features optimized for mobile to a controller based input scheme (mainly menus). This has been the first mobile game we as a team developed, so the lessons learned are almost wrapped up into the whole experience of getting it to build, getting it on the app stores, and currently how to market it. I'm the lead programmer and I can lay out a lot of the technical stuff that has been helpful for us. 1. Instead of building our dependencies once or including prebuilt libs we built a C++ build system that automatically pulls down the source code from our dependencies, applies any patches we need to them, and builds them. This allowed us, on several occasions, to quickly fuzzy search for SFML symbols in our IDE to see how SFML implements something, check if a perceived problem might come from SFML, or even fix up SFML to our liking and make a patch out of it (always tried to give back with a PR into SFML when it was wise to do so). Most of our patches related to Android and iOS bugs or CMake configuration that didn't play nice with our methodology of CMake. This didn't just extend to SFML, but rather any of the dependencies Squatbot had. We used rapidjson for JSON parsing, SFML for all the SFML-y stuff, and then our engine Ancona is pulled down and built in the same way as the other dependencies. Parallel work on the engine + game was incredibly easy with this tactic. which would build our game & dependencies in release mode for iOS with an architecture of x86_64 to test it out in the simulator. 3. Mobile development with one codebase is hard... but CMake can do it! I don't recommend this approach, but we actually setup CMake to create a fully loaded Xcode project every time you rebuild the game when building for iOS / macOS. This is a lesson in how powerful CMake customization is, because we can set nearly all required Xcode attributes needed for a released iPhone app. It was incredibly difficult, and not 100% there yet. Most people would make their Xcode project once and have it look towards the build folders for stuff like your dependency libs (in fact, this is the exact approach we used for Android). Gaming is fun. Game Dev even more! wow, looks really clean! Not bad, wish you the best success! 2B || !2B, that is the question! I'm happy to say that Squatbot has now been officially released on both iOS and Android! The character movement looks really smooth, kinda reminds me of Super Meat Boy. Good job! We've released an update with integration with Zapic which lets you challenge your friends to various challenges in Squatbot. And I'm excited to say we've been selected for Boston FIG's indie showcase September 29th! I think our whole team will be there, so if you're at the convention stop by and say hi and we can talk SFML!